The Chernobyl disaster is considered the most disastrous nuclear power park accident in all of history. Before the disaster, the region around Chernobyl was predominantly a rural woodland and marshland. In 1986, Chernobyl nuclear reactor #4 exploded, spreading vast amounts of radioactive isotopes and leading to the evacuation of the population. Without humans, forests have continued to expand. Chernobyl forests remain a main source of concerns, particularly regarding the risk of a release of radioactive elements in the event of a large scale forest fire. However, Chernobyl trees constitute a valuable resource for scientists to study the consequences of long-term exposure to radiation. This study is expected to generate unique genomic data to study the dynamics of the accumulation of somatic mutations in organisms. Studying this process in trees is even more important, since in plants (unlike animals) acquired somatic mutations can be transmitted to the next generation. Our main objective is therefore to quantify somatic mutations along branches initiated at different time points, in order to quantify the effects of radioactivity on mutation rates. By sampling different branches from trees at increasing distances from the reactor, we will also explore the spatial variation in mutation rates. We will conduct extensive field work to collect cores and fresh leaves from old oak and birch trees in order to track mutations in relation to past and ongoing radiation levels. The goal of the project is to collect the wood core and leaf samples from oak and birch trees at different distances from the Chernobyl nuclear reactor #4 explosion. We will travel to the Chernobyl exclusion zone in October 2018 to collect cores for dating candidate trees, and return in Spring 2019 to collect fresh leaves from the trees. The tree rings on the wood cores are used to date the initiation of each branch. After the sample collection is complete, we plan to sequence the DNA from different leaves to identify the number of mutations at each internode. This proposal covers all expenses required for successful sample collection. Crowd-Funding is needed to cover transportation including airfare for six scientists (5 from Europe and one from the US), living costs and diverse sampling fees (consumables, vehicle rentals, wood analyses). Donations beyond our proposal goals, if any, will be used to start DNA extraction immediately after the sampling, and then to prepare sequencing libraries and start the DNA sequencing of some samples. This is a very unique opportunity to explore how an extreme rare event may lead to substantial genetic changes in natural tree population. The subsequent spread by pollen flow would as well be of interest. I support the project entitled 'Temporal dynamics of mutation accumulation in trees of the Chernobyl Exclusion Zone’ aiming at addressing the important question of the impact of nuclear radiations on trees’ DNA mutation rate. September 24-28, 2018: First field trip. Mousseau and Leroy - with the support of an excellent wood technician/dendrochronologist at INRA - will arrive in Ukraine to identify some candidate oak and birch trees, with convenient locations for the sampling step and along a gradient of past radiation exposure. May or June, 2019 (5-10 days). Second field trip. The whole team will arrive in Ukraine to collect fresh leaves and core samples at each branch initiation on trees earlier identified. 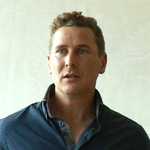 Dr Thibault Leroy is a population geneticist and a molecular evolutionist, currently employed as a postdoctoral researcher at the University of Montpellier, France. Thibault already worked on a large range of species (including wild and domesticated plants, plant pathogens and animal species). He initially focused his research on studies of adaptation and species diversification, including last 4 years spent working on the evolution of oaks at INRA Bordeaux, France. 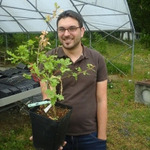 He developed a strategy to identify somatic mutations in pedunculate oak. His current project focuses on the accumulation of deleterious mutations in genomes, particularly in passerine birds. Born in 1986, few weeks only after the Chernobyl accident, Dr Thibault Leroy was interested since his youth to the evolution of living organisms near Chernobyl and initiated the general work plan for the project. Martin Lascoux is a plant population geneticist working on local adaptation and the impact of deleterious genes on fitness. 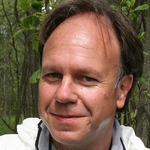 He has worked on forest tree species (birch, spruce, larch) of the former USSR over the last twenty years. He has published over 110 scientific papers in quantitative and population genetics. Professor Tim Mousseau, PhD, has been studying the impacts of radiation from nuclear accidents since 2000. He has led >35 research expeditions to Chernobyl and >20 to Fukushima. He and his collaborators have published more than 100 scientific papers related to radiation effects on wildlife and he is considered a leading authority concerning the ecological consequences of radiation in the environment. 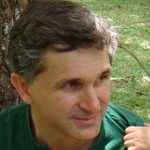 Dr. Mousseau is an elected fellow of the American Association for the Advancement of Science (AAAS), the Explorers Club, and the American Council of Learned Societies (ACLS) and has published > 200 scientific papers and 11 books or monographs in the fields of ecology, evolution, genetics and radioecology. My main research interest is how forest trees are adapted to their environment, with a special focus on oaks, pines and eucalyptus. 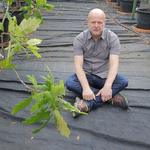 I recently leaded the oak genome project published in Nature Plants http://dx.doi.org/10.1038/s41477-018-0172-3. This project led me to study the accumulation and inter-generational transmission of somatic mutations (non germ line) in this emblematic long lived species. Our finding raises questions about the importance of somatic mutations in generating genetic diversity in trees, a question I want to pursue within the accelerated mutational environment of Chernobyl.